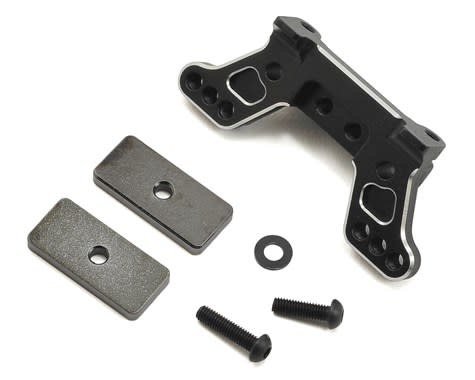 This is an optional Yokomo Aluminum Rear Camber Block, anodized in Black color. 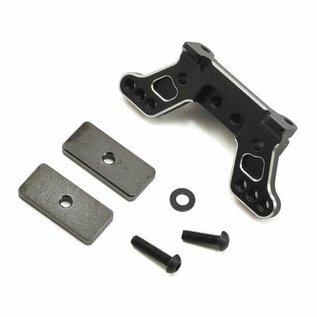 This mount will help provide increased rigidity in the rear end for the camber links, great for fast, high-bite tracks. Additionally, this block allows the use of weights to be added, attached to the block with one screw. Two weights are included in the package; each weight weighs 6 grams. Add one block for an extra 6 grams, or both weights for 12 grams.